Hi, everyone! My laptop came back yesterday!!!! AND- everything survived the repair process! I’m very happy with that because I had a mani on here that I hadn’t shown any of you yet! And if you wear a nail polish but don’t blog about it, did you REALLY wear that nail polish? Hahaha, I was prepared to put it back in my untried pile. I absolutely love this polish for fall. It was opaque in 2 medium coats and the formula is superb. Guys, I am obsessed with Different Dimension’s polishes. If I had all teh monies, I’d buy every single one. And of course I arted on it! I used a Born Pretty stamping plate and Gothic Gala Lacquers gold stamping polish. I am thrilled with the look of this polish and will add it to my yearly autumn polishes that I pull from my collection. I have them all in shoe boxes and pull for seasons and holidays. If you’re interested in grabbing anything from Born Pretty, you can use my code LESLIEW10 for 10% off of regular priced merchandise. Omgooodness it is so pretty! I love browns! And I love the stamping. Wow! Hourglass Nebula is beautiful. The stamping you chose is exquisite! 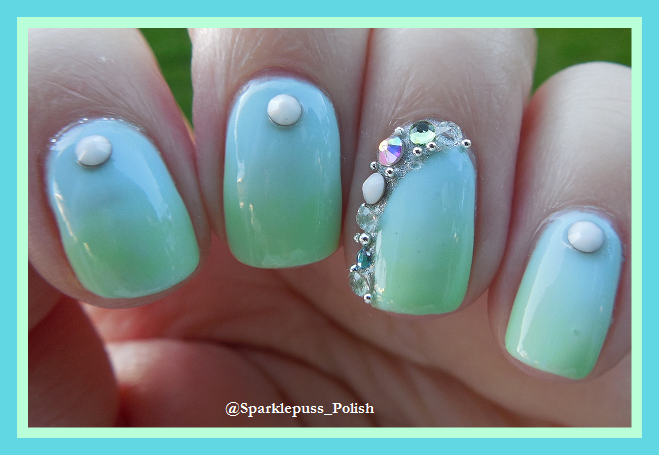 Beautiful polish. Looks great with that classy stamping. Love it! It’s such a unique brown. That stamping is perfect for the base shade!